D.O. is the abbreviation for Doctor of Osteopathic Medicine. Commonly known as Osteopathic Physicians, D.O.s practice a “whole person” approach to medicine. Instead of just treating specific symptoms, osteopathic physicians concentrate on treating the whole patient. They focus on preventive health care and believe that the body is self-repairing, self-sustaining and self-adjusting and that it is the physician’s job to help the body heal itself. Osteopathic physicians understand how all the body’s systems are interconnected and how each one affects the others. They focus special attention on the musculoskeletal system, which reflects and influences the condition of all other body systems. This system of bones and muscles make up about two-thirds of the body’s mass, and a routine part of the osteopathic patient examination is a careful evaluation of these important structures. D.O.s know that the body’s structure plays a critical role in its ability to function. They can use their eyes and hands to identify structural problems and to support the body’s natural tendency toward health and self-healing. Osteopathic physicians also use their ears to listen to you and your health concerns. Doctors of osteopathic medicine help patients develop attitudes and lifestyles that don’t just fight illness, but help prevent it too. Millions of Americans prefer this concerned and compassionate care, and have made D.O.s their doctors life. In response, Dr. Still founded a philosophy of medicine based on ideas that date back to Hippocrates, the father of medicine. The philosophy focuses on the unity of all body parts. He identified the musculoskeletal system as a key element of health. He recognized the body’s ability to heal itself and stressed preventive medicine, eating properly and keeping fit. Dr. Still pioneered the concept of “wellness” more than 125 years ago. In today’s terms, personal health risks — such as smoking, high blood pressure, excessive cholesterol levels, stress and other lifestyle factors — are evaluated for each individual. In coordination with appropriate medical treatment, the osteopathic physician acts as a teacher to help patients take more responsibility for their own well-being and change unhealthy patterns. Over half of all osteopathic physicians practice in primary care areas such as pediatrics, family practice, obstetrics/gynecology and internal medicine. Many D.O.s fill a critical need for doctors by practicing in rural and medically underserved areas. Today osteopathic physicians continue to be on the cutting edge of modern medicine. D.O.s are able to combine today’s medical technology with their ears, to listen compassionately to their patients; their eyes, to see their patients as whole persons; and their hands, to diagnose and treat injury as well as illness. DIFFERENCES: D.O’s bring something extra to medicine…. Osteopathic medical schools emphasize training students to be primary care physicians. Over half of all graduates from colleges of osteopathic medicine practice in primary care specialties. Many fill a critical need in rural and underserved areas. Osteopathic physicians focus on preventative healthcare and overall wellness. D.O.’s practice a “whole person” approach to medicine. Instead of just treating specific symptoms, they regard your body as an integrated whole. D.O.’s receive extra training in the musculoskeletal system-your body’s interconnected system of nerves, muscles, and bones that make up 2/3 of the human body mass. This training provides osteopathic physicians with a better understanding of the ways that an injury or illness in one part of your body can affect another. It gives D.O.’s a therapeutic and diagnostic advantage over those who do not receive this specialized training. Osteopathic manipulative treatment (OMT) is incorporated in the training and practice of D.O.’s. OMT allows physicians to use their hands to diagnose injury or illness and to encourage your body’s natural tendency toward good health. By combining OMT with all other medical practices, D.O.’s offer their patients the most comprehensive care available in medicine today. What are the differences between D.O.s and Chiropractors? D.O.s have a medical education that includes a four-year undergraduate degree, a four-year medical school degree, internships, and at least one hospital residency. In addition, D.O.s prescribe medicine and perform surgery. Chiropractors do not prescribe medicine and focus on the back and spine, while D.O.s are trained in manual techniques for all of the body’s regions. Because D.O.s are fully licensed physicians, they may develop a treatment plan incorporating osteopathic manipulation with other traditional medical procedures. How do M.D.s and D.O.s compare in qualifications? are equally accepted by the military. D.O.s are one of the fastest growing segments of health care providers. Growth in the number of D.O.s is exceeding projections. Between 1989 and 1994, D.O. growth outpaced M.D. growth by almost two times. 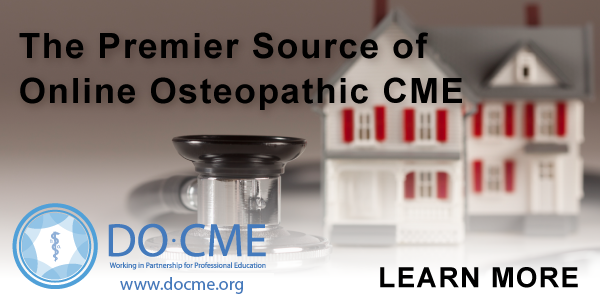 By the year 2020, over 80,000 osteopathic physicians will be in practice in the U.S.
More than 64% of all D.O.s practice in the primary care areas of family practice, internal medicine, obstetrics/gynecology and pediatrics. D.O.s represent 6% of the total U.S. physician population and 8% of all military physicians.